If you’re looking for a great location to enjoy a long – or short – weekend, then I have the intel for you. 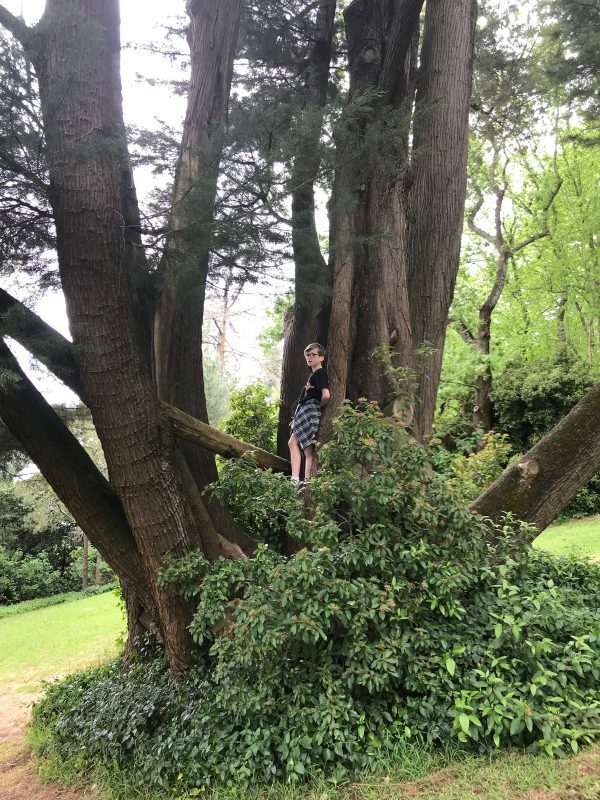 Over the Melbourne Cup long weekend, we packed up our 7 seater with our three boys – aged 12, 10 and 7 – and our brand new pooch Roxy (you can read her back story here), and drove an hour and fifteen minutes up the road to the Macedon Ranges. It wasn’t a long way to go distance wise, but it sure felt like a getaway as we enjoyed all the clean air, beautiful views, great food and natural beauty of this well known area. You could feel the serenity. 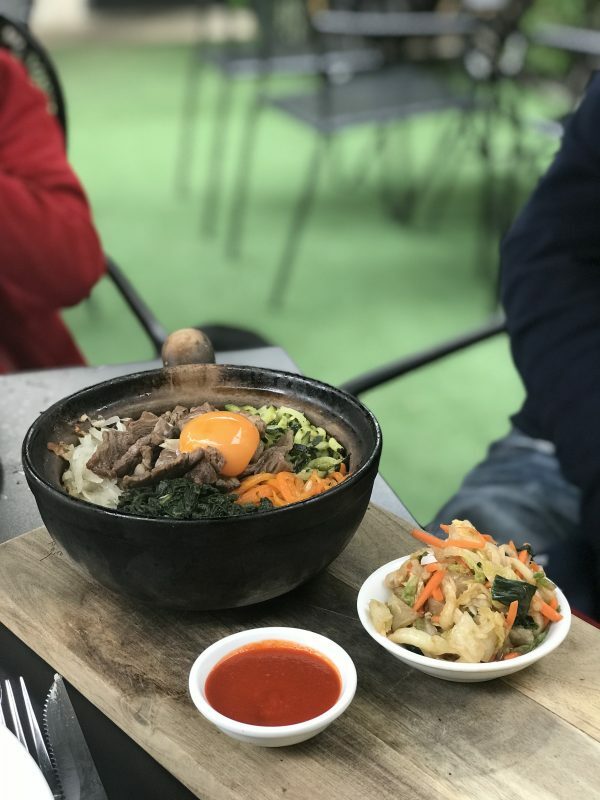 In this post, I’m sharing all the important things – like where we stayed, what we did and where we ate – to help you plan your next visit to this great place. With kids and fur baby in tow, I’ll also be highlighting the things that worked well with our junior entourage. 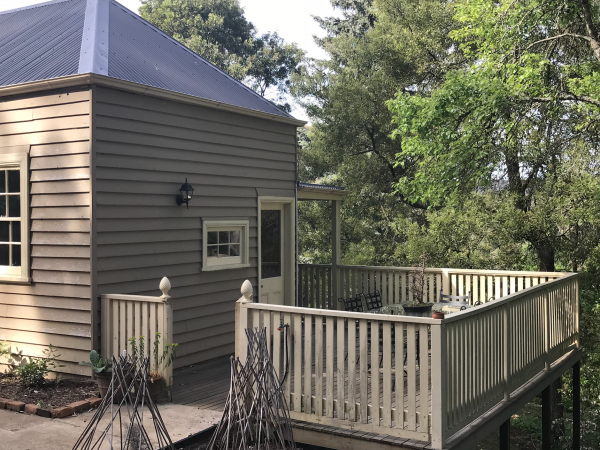 There are loads of places to stay in the Macedon Ranges, with options to suit all tastes, budgets and preferred locations. 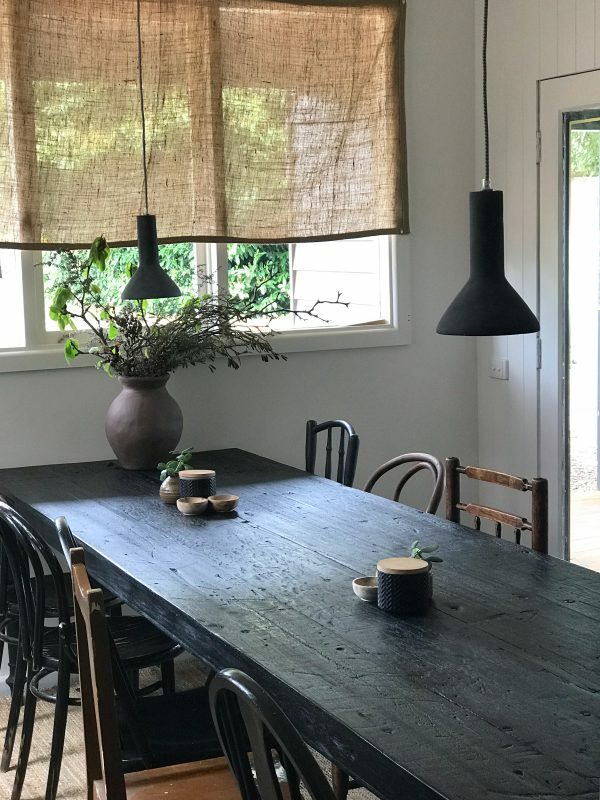 For a girls weekend, I’d suggest staying in town in Trentham, Kyneton or Daylesford, where you can easily walk in to town for a coffee or home after dinner. With a family, staying in town – especially with small kids and babies where you need to factor in a pram/stroller -or on a property with a decent back yard might be a better option. 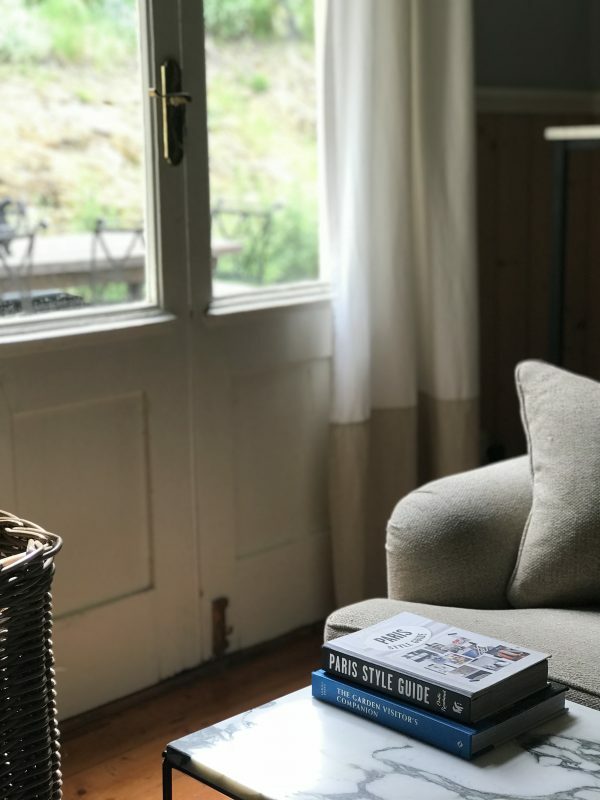 When it came to booking a place for our stay, we really wanted to find a property where we could get away from it all, while still being close to good coffee. Not to tall an order, right? Ideally, I wanted us to stay somewhere that had plenty of room for the kids to run around in a picturesque location. 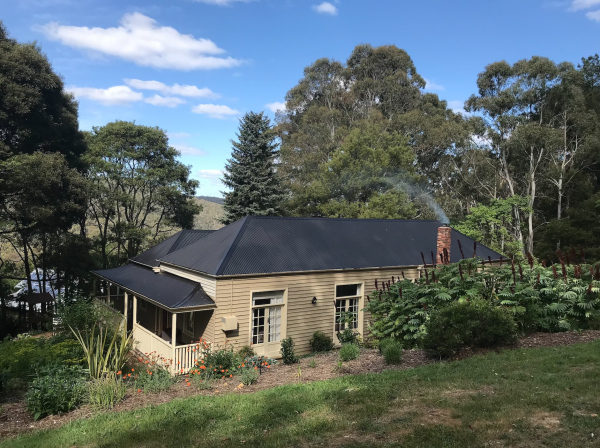 I reckon I nailed the brief by booking us this Air BnB property – Ambleside Country House – in Blackwood, a small gold rush mining town, ten minutes drive to Trentham. 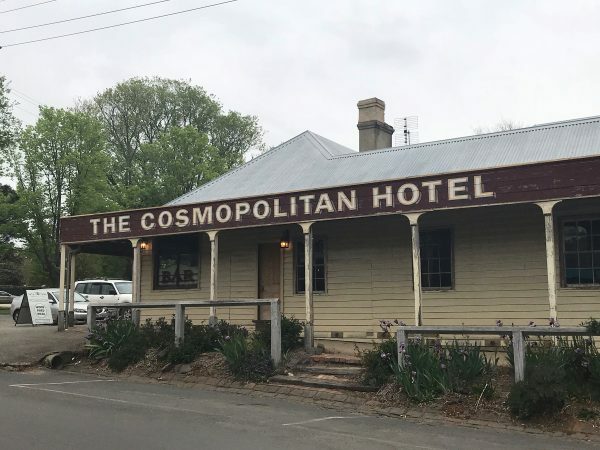 Blackwood is a small, sleepy town with a cafe, a pub and a shop or two but Trentham is a short drive away, with Daylesford and Kyneton a further twenty minutes drive up the road. Ambleside Country House itself is a pretty cottage nestled in two acres of very well maintained gardens, with some play equipment and a tree swing. My guys, now they are older, preferred to run around the garden with sticks, in a complicated game involving back packs, water bottle bottles and military strategy. I didn’t ask too many questions as they were occupied for hours. 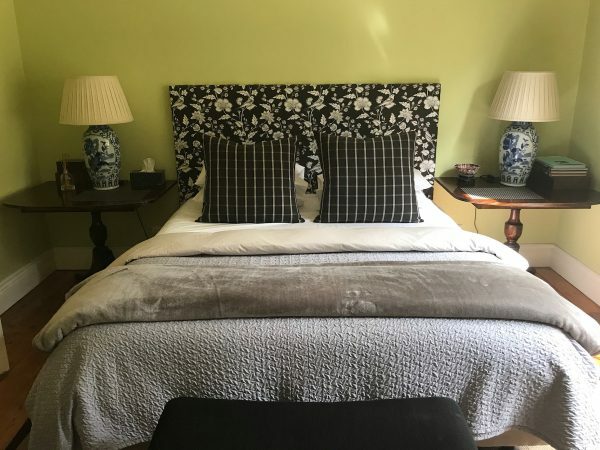 Meanwhile, I made the most of the very comfortable lodgings, the highlights of which for me where the king size bed side tables – such a game changer – to match the comfortable king size bed (pictured below), Netflix, tasteful decor, a wood fire and heating throughout the house. While the kids played in the garden, Roxy was taken care of too, as there was also a secure gated area of the verandah for her which would also be an ideal secure area for small children. Being a pet friendly property, dog bowls, blankets and other provisions were also supplied. There’s plenty to do around these parts, whatever your interests. We opted for a mix of exercise, nature, great food and shopping, of which there were plenty of options. As we were based in Blackwood which had limited options, we did have to drive a bit, but we tried to make the most of each trip, doing a few things in the one town. This is such a pretty spot, even on a cloudy, overcast day. 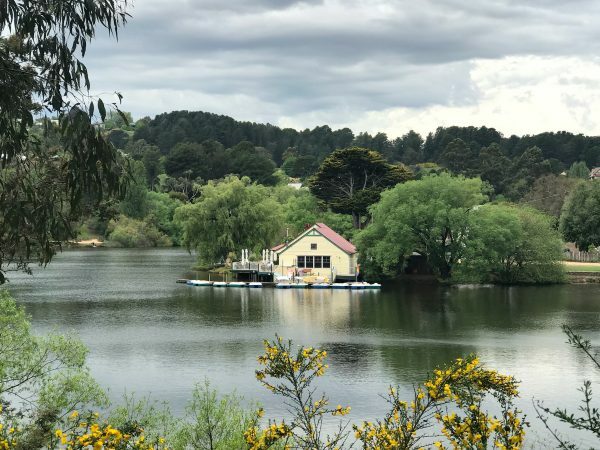 We took our time wandering around the lake – it’s a 2.8km circuit around the lake – and it’s a free, easy and dog friendly activity which takes around 40 minutes. During our walk, we stopped by the small pier for some photos, saw ducks, local flora and all those gorgeous properties backing on to the lake. 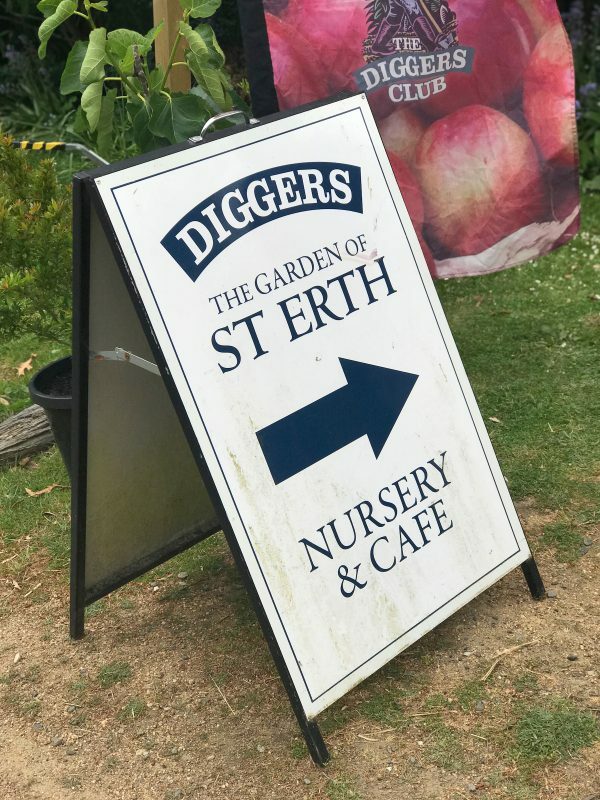 A local Diggers Club, The Garden of St Erth is a short drive from the local town of Blackwood. We were lucky enough to visit on the day of the Spring Festival, so there were activities for the kids, as well as talks and produce stalls. 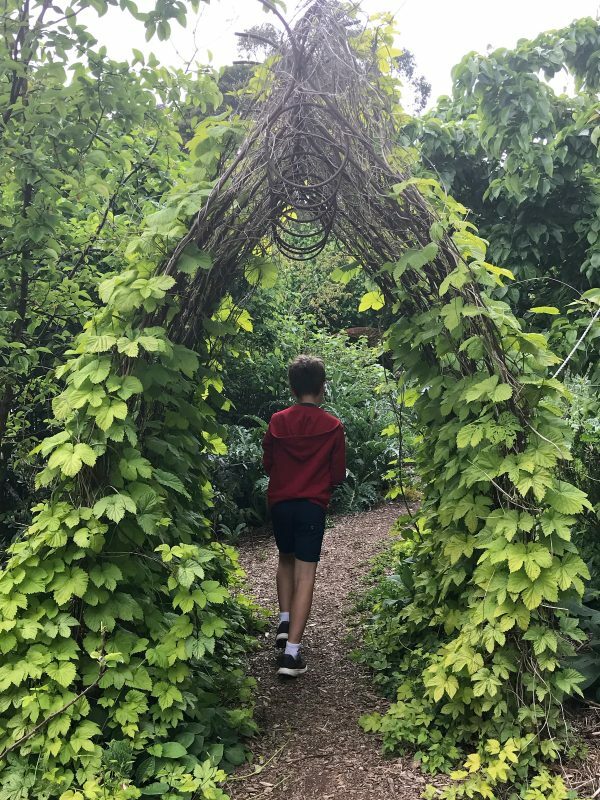 I can’t say it was the kids’ favourite activity but Mr SnS and I loved wandering through these beautiful gardens. There’s a nursery and cafe on site too and we saw plenty of dogs there too. 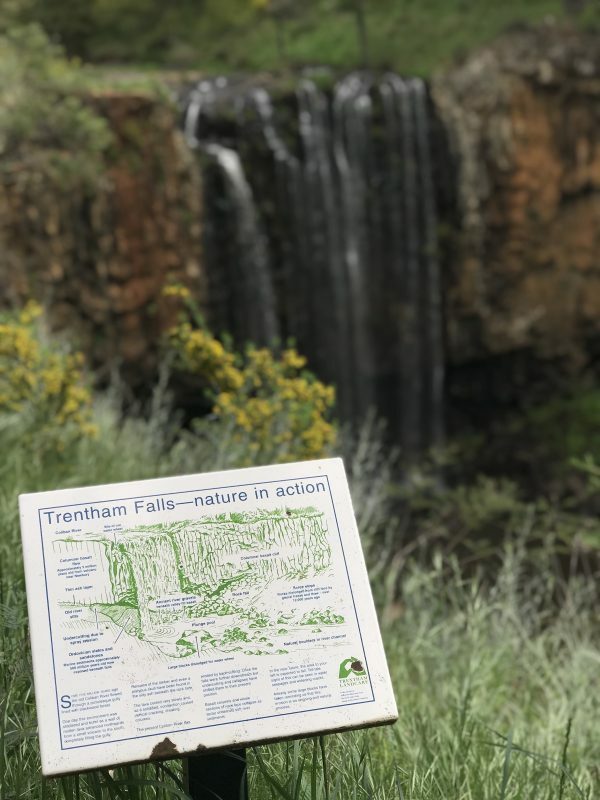 Located just out of town, Trentham Falls are one of the longest single drop waterfalls in Victoria and makes for a spectacular sight. It’s a short, albeit steep, walk from the car park to the viewing area. 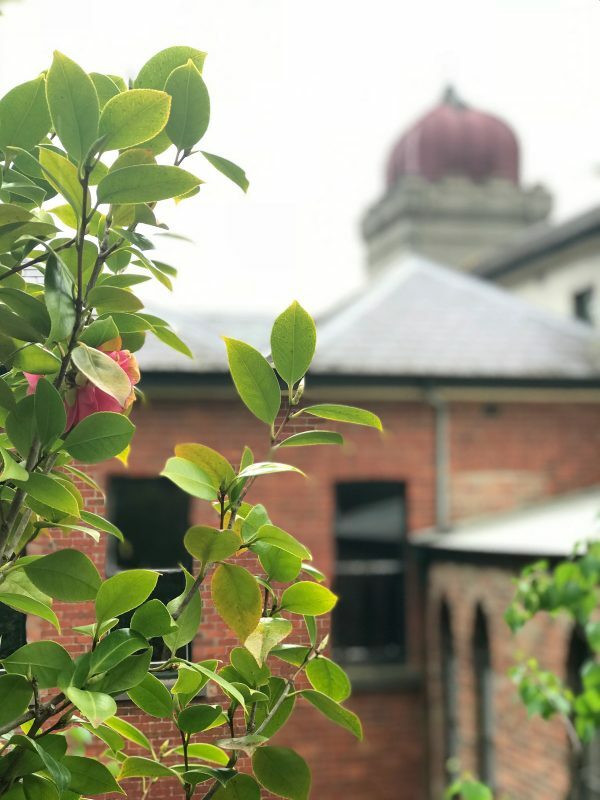 Back in Daylesford, the Convent Gallery has plenty to offer any visitor with extensive gardens, The Bad Habits cafe, the Altar Bar, a gallery and gift shop on site. We arrived late one day – this place closes at 4pm – so we managed a quick drink in the garden before we wandered around the gardens. 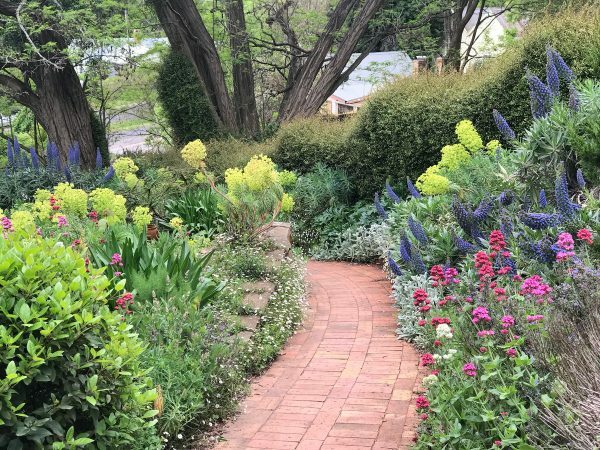 Next door is Wombat Hill Botanical Gardens too, which are great for wandering and exploring too and you can pop in to Wombat Hill House too. 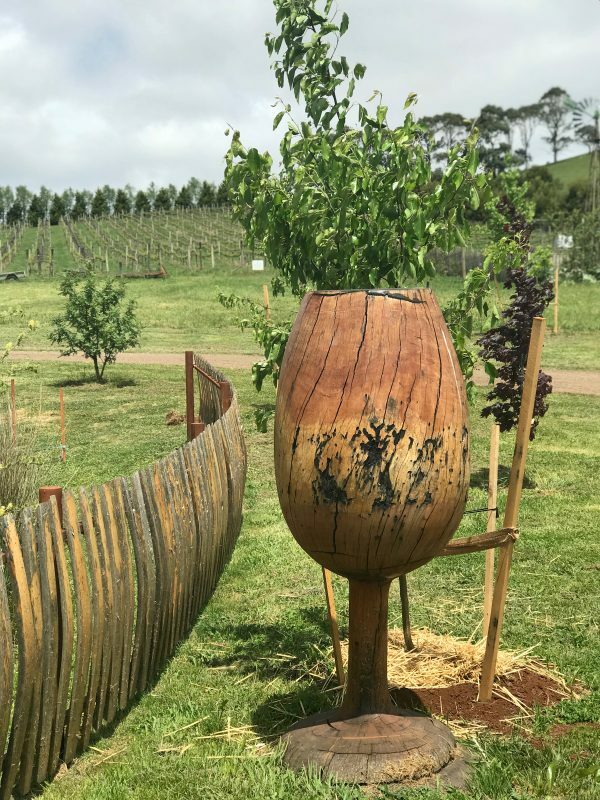 If you’re up for some wine tasting or a beautiful lunch overlooking the vines, head to Passing Clouds in Musk. The bistro is very popular though so book well ahead for lunch on the weekends. 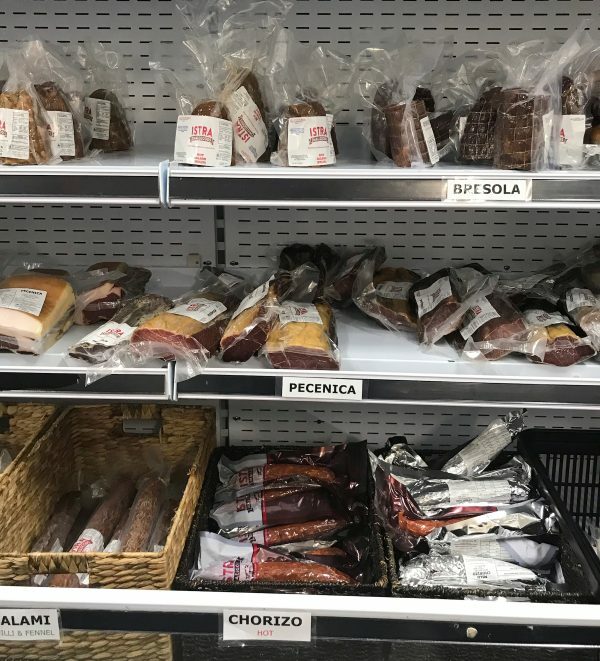 While you’re in Musk, make a beeline to Istra Smallgoods where you’ll find the most delicious small goods going around including world class cabana and ham. If that’s not incentive enough, everything is extremely well priced and well below RRP. 8. 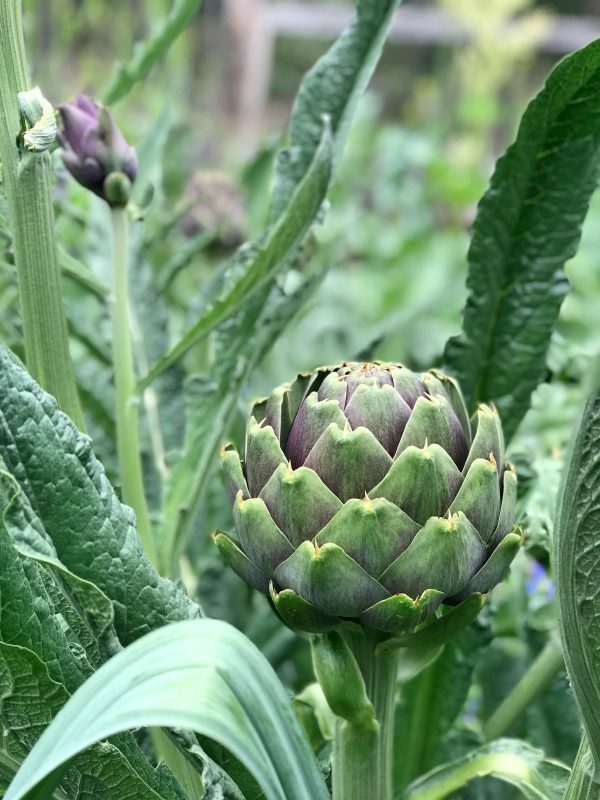 Local Markets and Events – every weekend, there’s always loads of local events on in the region, from farmers and bric or brac markets through to art shows and other community events, so check out what’s on as soon as you arrive and plan accordingly. Whenever we travel, we try to eat some meals in to offset the expense and effort of eating out. This time around, we ate breakfast, the odd lunch and a couple of dinners at home, preferring to go out for coffee and lunch during our visits to neighbouring towns. 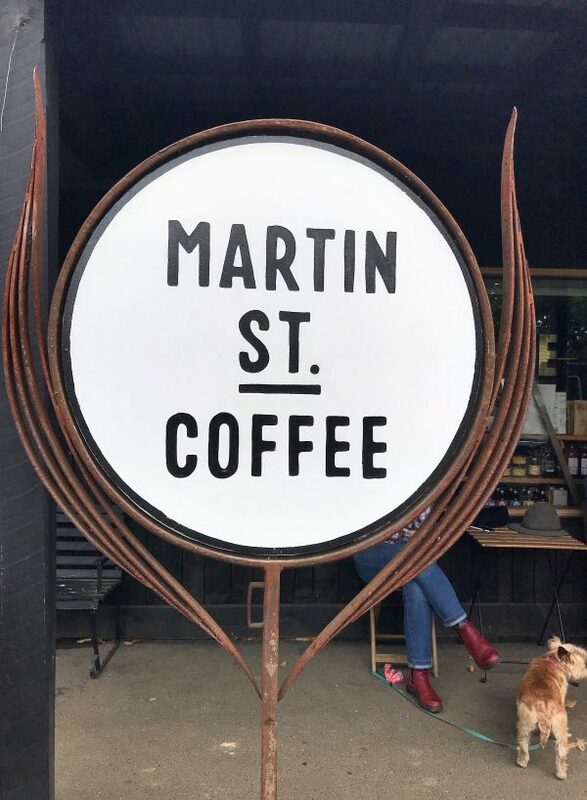 In Blackwood, we loved the newly refurbed Martin St Coffee which offers a stylish dining room, covered deck and creature comforts for furry friends too. It was a five minute walk from our digs. 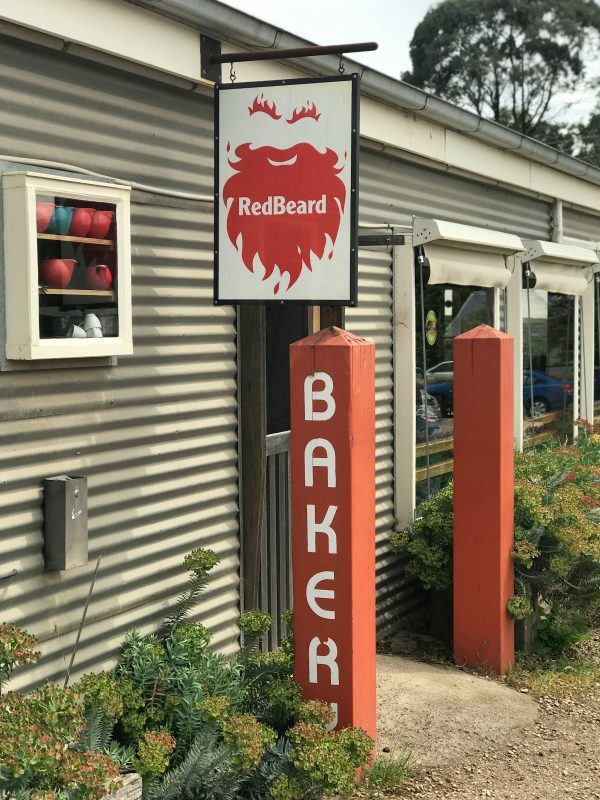 In nearby Trentham, we loved Red Beard Bakery which had a well priced menu and delicious treats including their egg and bacon pie which was To Die For. With it’s partly covered courtyard too, pooches are welcome. You can also stock up on their absolutely delicious bread and other locally made provisions to go. We bought a couple of loaves as we left town too, which we cut up and popped in the freezer for future weekend treats. SO delicious. 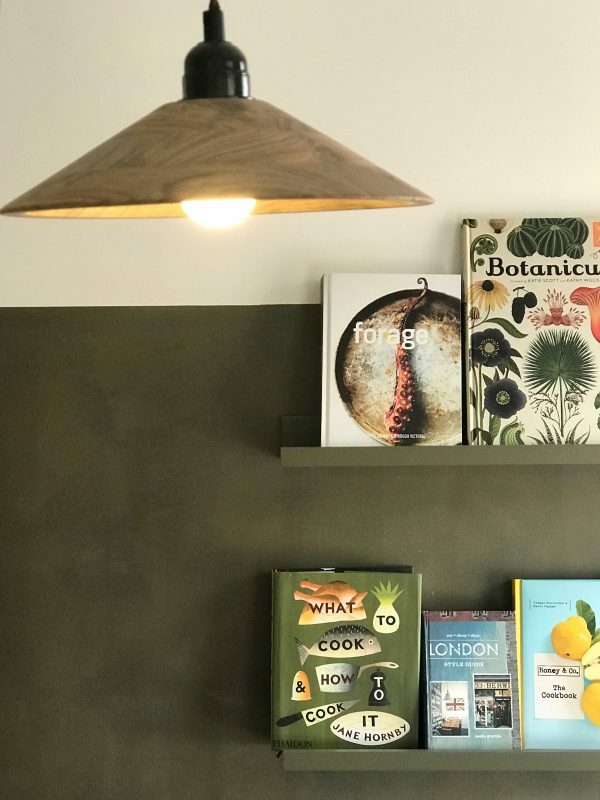 Newly opened Trentham General is another great spot for coffee or an all day breakfast situation and boasts a well curated and vintage inspired fit out and home wares shop. 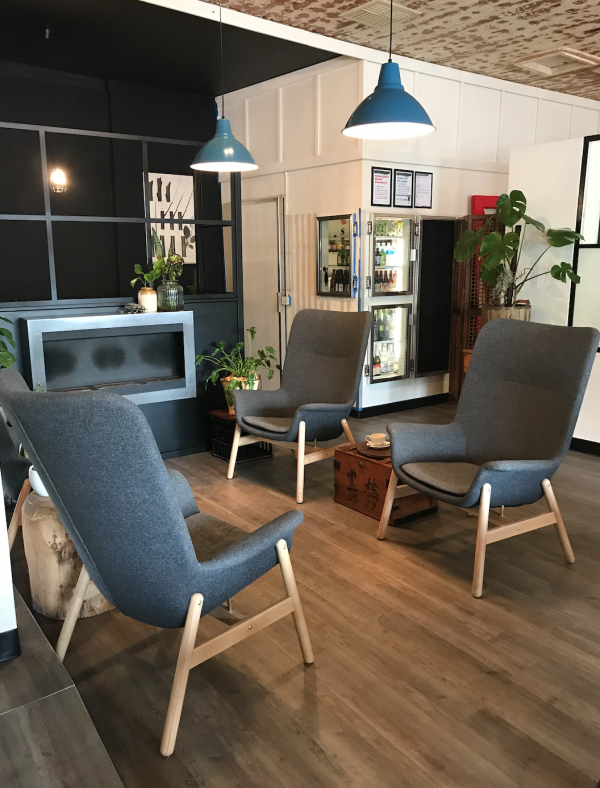 Housed in the former Bank Building, it’s such a beautifully designed space with friendly service and excellent coffee too. 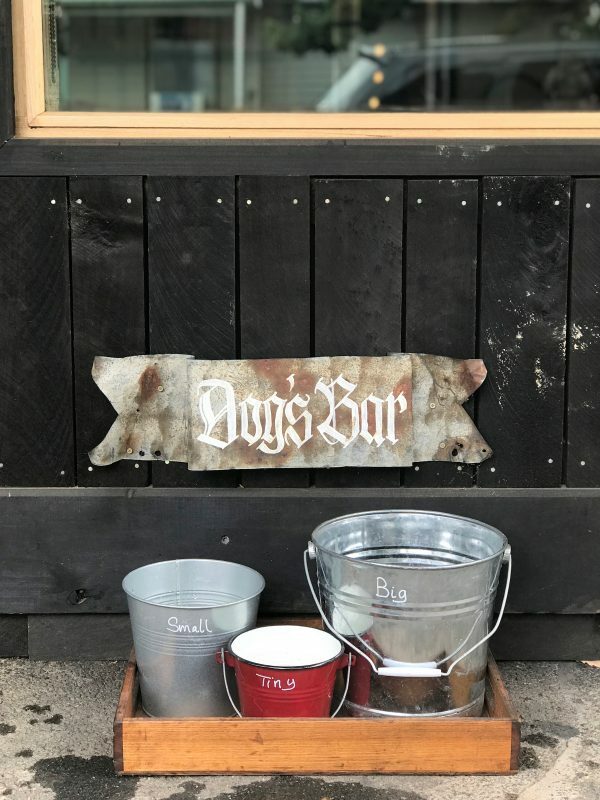 There’s dog parking – and a water bowl – out the front too. 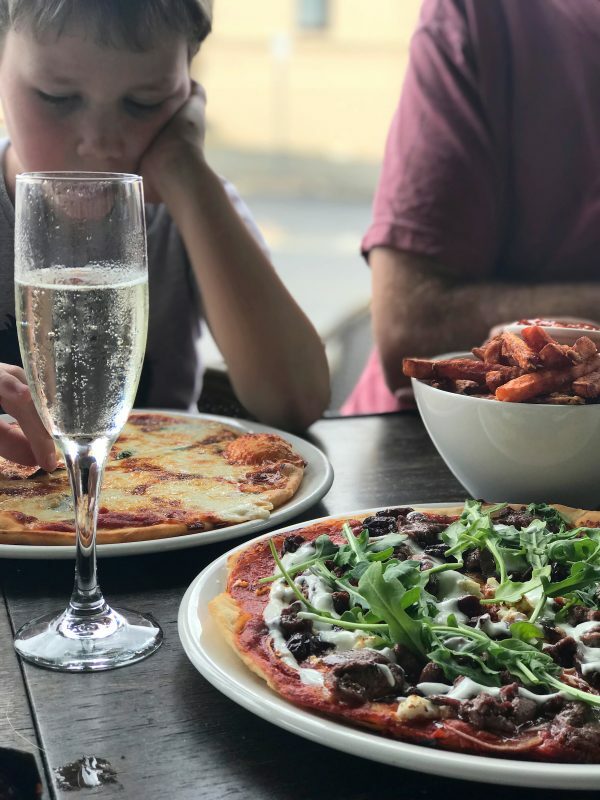 If you’re in Trentham for dinner, head to the Cosmopolitan Hotel – or the Cosmo as the locals say – where you’ll find a smart country dining room, or, if you’re with kids and your fur baby as we were, head outside to the beer garden for wood fired pizzas or some bistro faves. Mr SnS and I couldn’t fault our Waygu burgers or the local brews/drops that accompanied them. If we were sans children, we would have loved to have had lunch at Annie Smithers’ Du Fermier in Trentham. If you are planning a visit, you’ll need to book well – i.e. several weeks to months – ahead. In Daylesford, we had a lovely lunch alfresco at Koukla. Roxy was happy to relax next to our outside table. 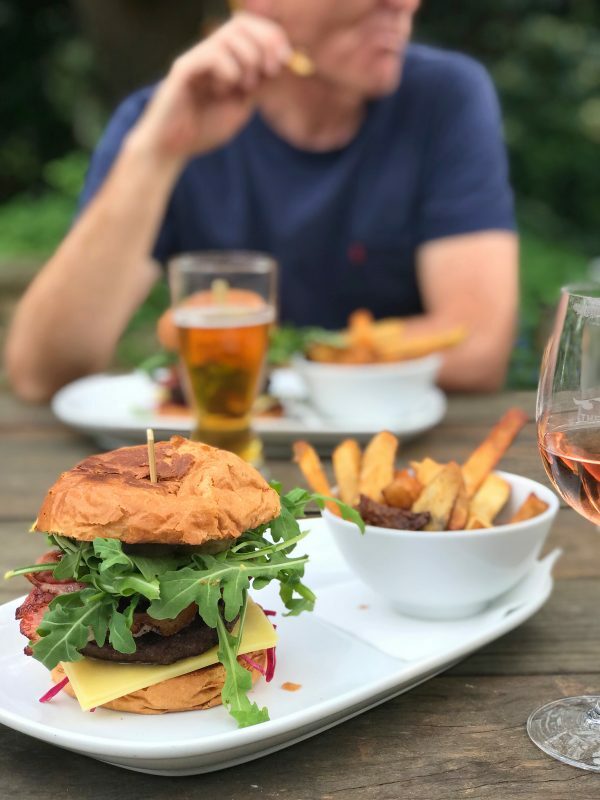 We didn’t eat at Bad Habits at The Convent Gallery, but we made it in time for a drink and went on to dinner at The Farmers Arms in Daylesford, one of our all time faves. Mr SnS rated his Korean inspired dinner very highly indeed. Roxy – and other well behaved pooches – are welcome in the beer garden too. On the drive home to Melbourne we stopped in Kyneton, one of my favourite regional destinations for pretty much everything. 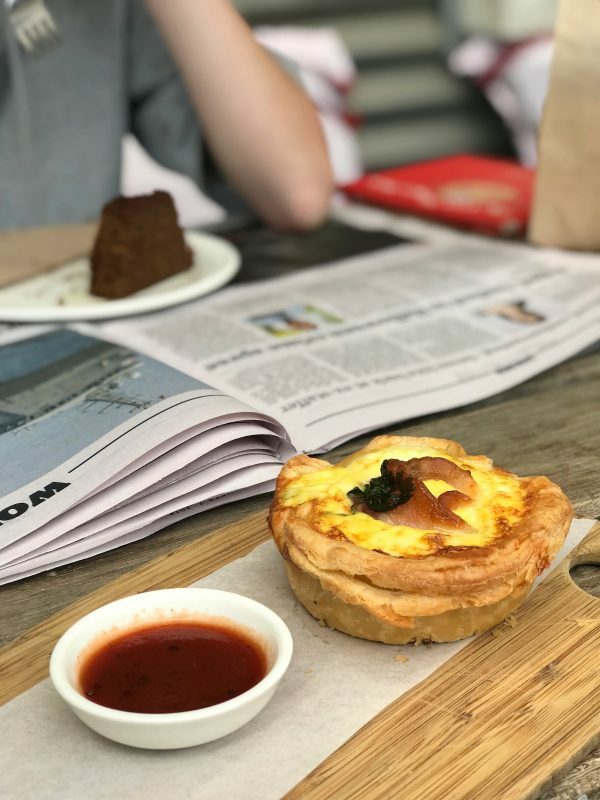 There are lots of foodie finds in Kyneton too. 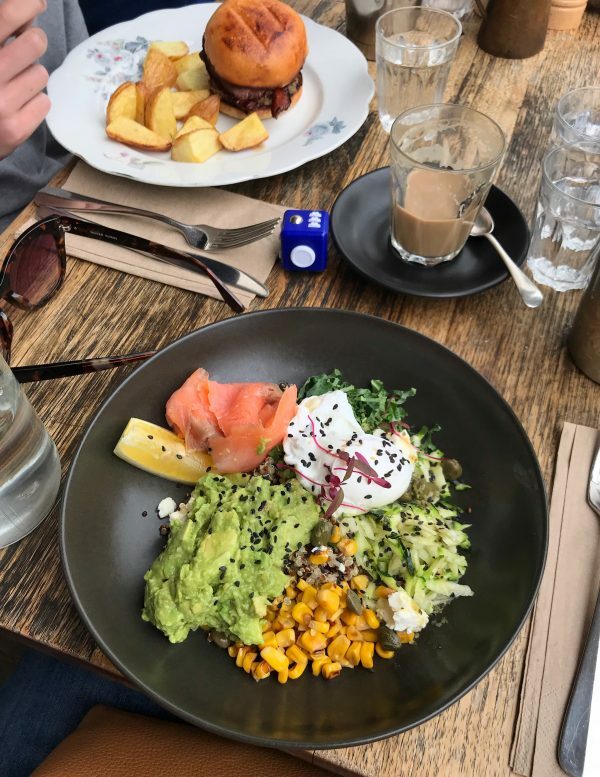 We had a delicious – and reasonably priced – brunch at Little Swallows Cafe, pictured below. We also popped in to the Country Cob Bakery, home to and winners of Australia’s best pies and pasties 2018, where we stocked up on supplies. 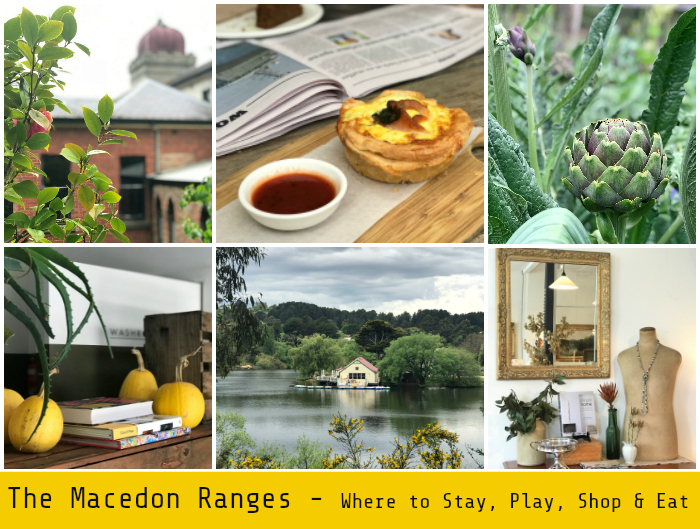 I love wandering through local boutiques and emporiums on my travels and there’s plenty to love in the pretty towns in the Macedon Ranges, with Trentham, Daylesford and Kyneton all offering plenty of reasons to visit, beyond their great food, history and natural beauty. 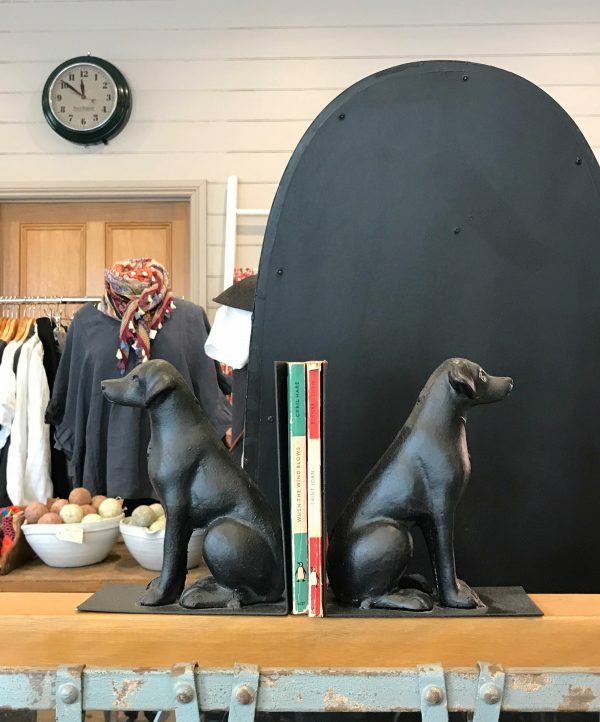 In Trentham, I loved the eclectic range of gifts, clothing and homewares at Dallas! 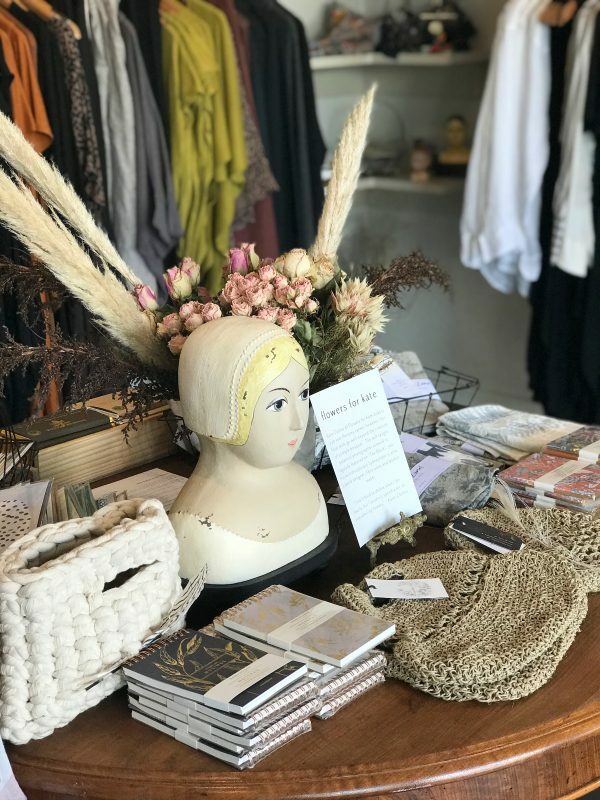 Across the road, Francis & Mae offers a range of women’s clothing and accessories. 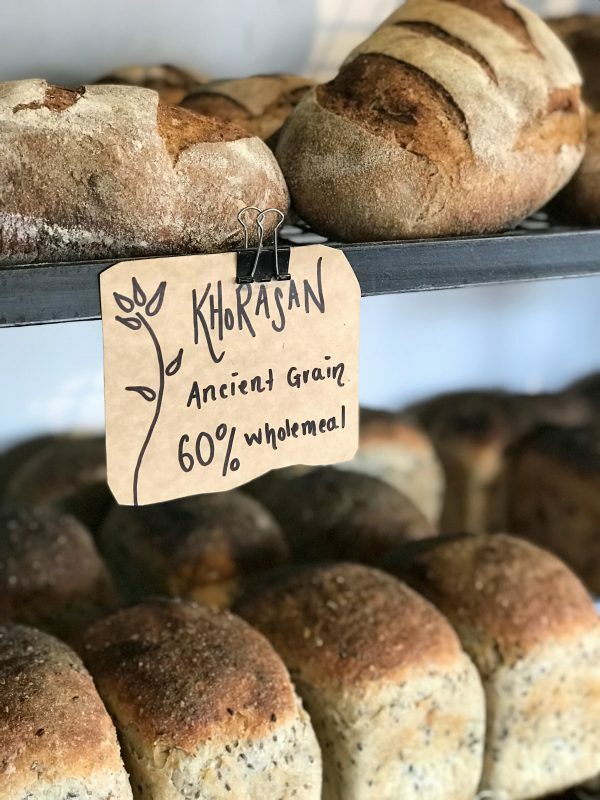 For foodies, you can’t go past Red Beard bakery where you’ll find not only excellent sourdough bread but a great range of other local products and baked goods. 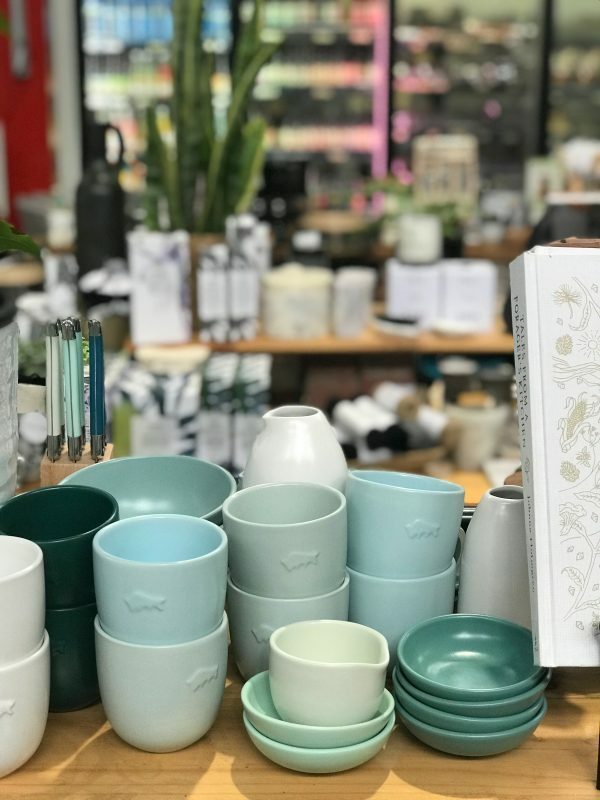 Trentham General also has a gorgeous home wares shop full of beautiful vintage inspired wares. 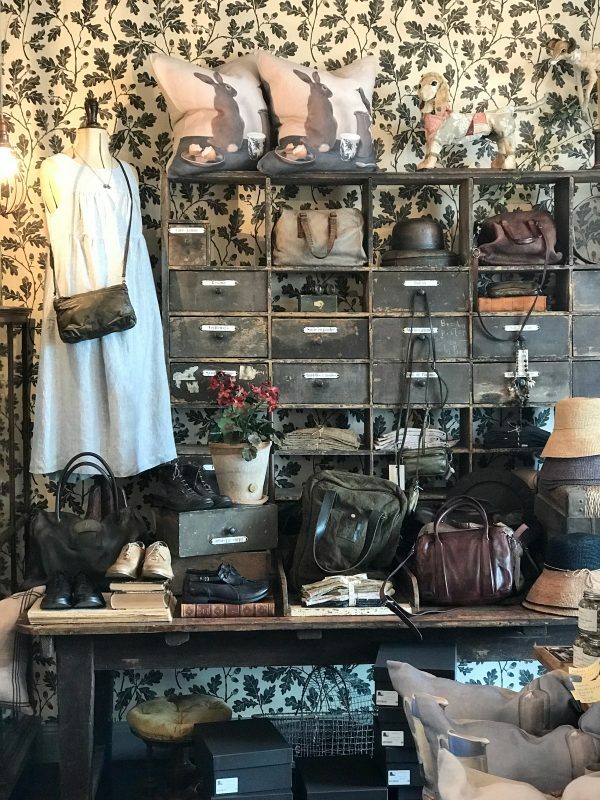 Vincent St, Daylesford has plenty to offer including Harry & Me where you’ll find Elk accessories, Spanish perfumes and beautiful local and European accessories and jewellery. 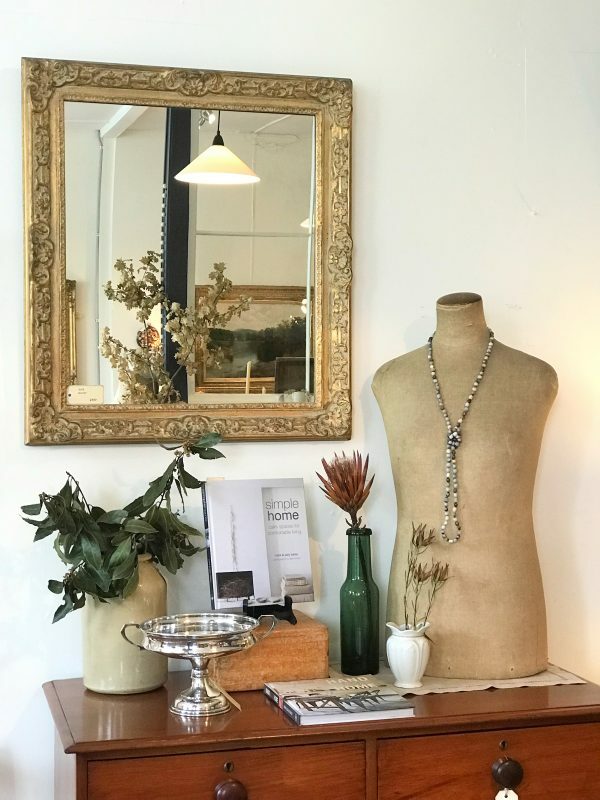 On the same side of the road next to the roundabout you’ll find the beautiful emporium Manteau Noir which stocks higher end European linen clothing, Italian made Victoria Varrasso shoes and local Est products. 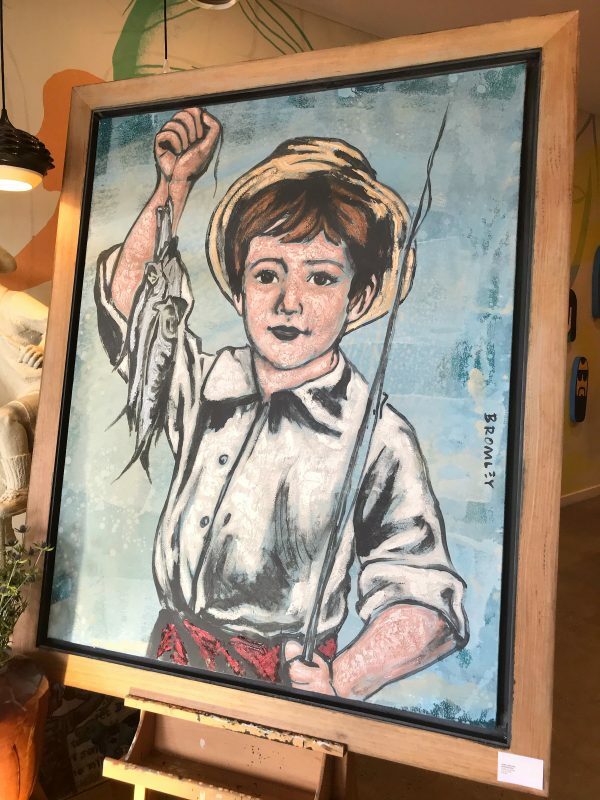 If you love art, there’s some excellent window shopping to be had at Bromley & Co., although leave the kids (and dog) outside as you wouldn’t want to knock any of these high end sculptures over – some cost more than a small car! 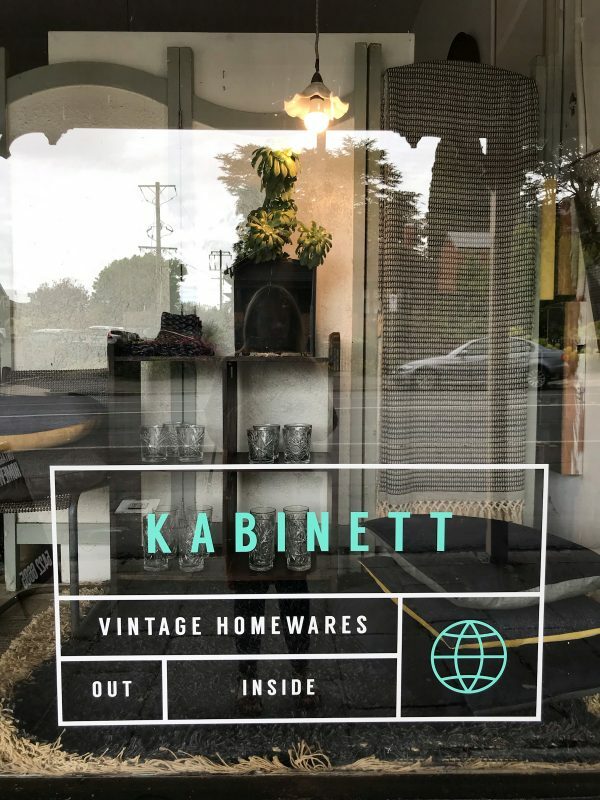 In Kyneton, there’s been a bit of retail turnover since my last visit in February but some old favourites remain such as Kabinett and cafe/emporium Duck Duck Goose, both pictured below. 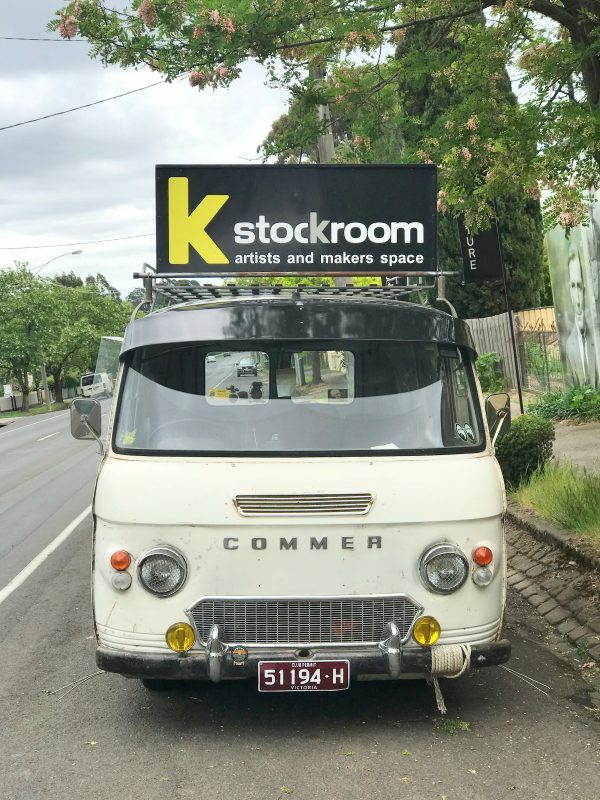 Kyneton newbies – to me anyway – The Stockroom and Oak Lane & Co. (both pictured below) at the far end of Piper Street are welcome additions to the neighbourhood, particularly for fans of vintage and designer wares. 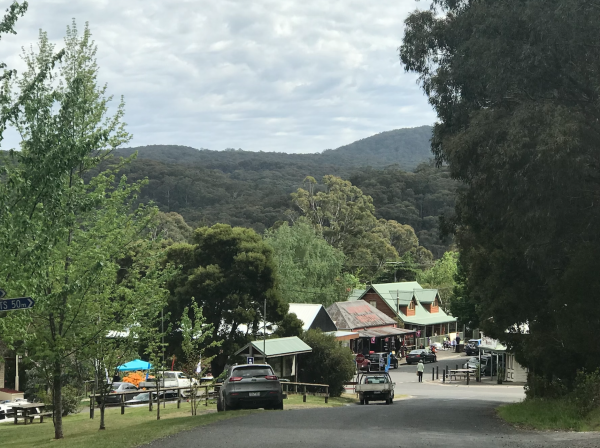 Have you visited the Macedon Ranges lately? What would you add to the above? Welcome to Style and Shenanigans! I love to find and create style in the every day. I love putting together clothes, shoes, accessories and home wares that are a bit different, interesting, affordable and family friendly.